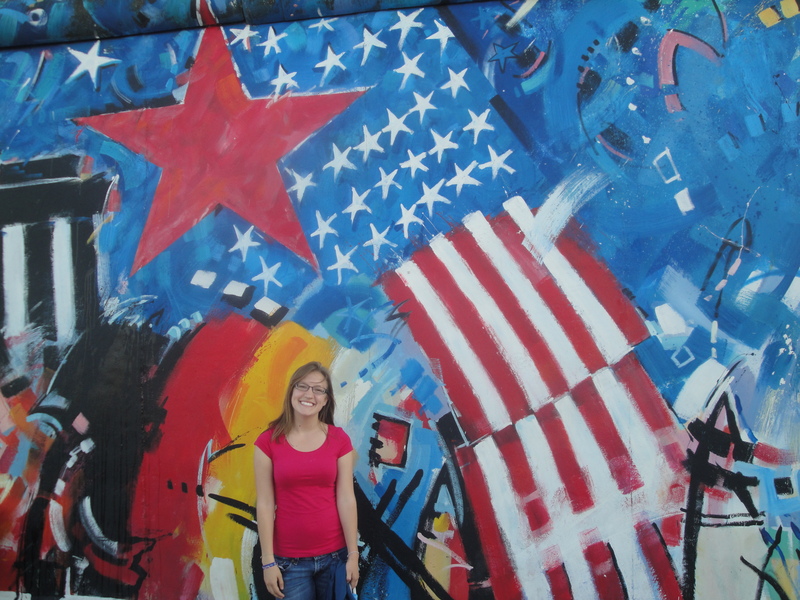 germany or america: where am I better traveled? Throughout my life, I’ve been fortunate enough to see a lot of my home country thanks to my Dad’s affinity for cross-country road trips, and the generous dispersal of our family and friends throughout the Lower 48. And during the past three years, I’ve been able to travel through Germany quite a bit too! So I think it’s time for a light-hearted game of: Where Am I Better Traveled? Last night was a blast and luckily I lived to tell the tale! Germany played the US in the World Cup, and Germany won but both teams advanced beyond group play. I’m excited because now I can root for both teams separately, as they wouldn’t play each other until the final if they both made it that far! I went with Daniela, my tandem friend, to watch the game at a “South African” bar, and it ended up being a lot of fun even though we got rained on a lot on our way there! (We had to change our plans because of the rain… we wanted to watch at a Biergarten but it was open-air and we figured it would be a bad idea.) I’ve never been so invested in soccer before, and I’m having a lot of fun watching. 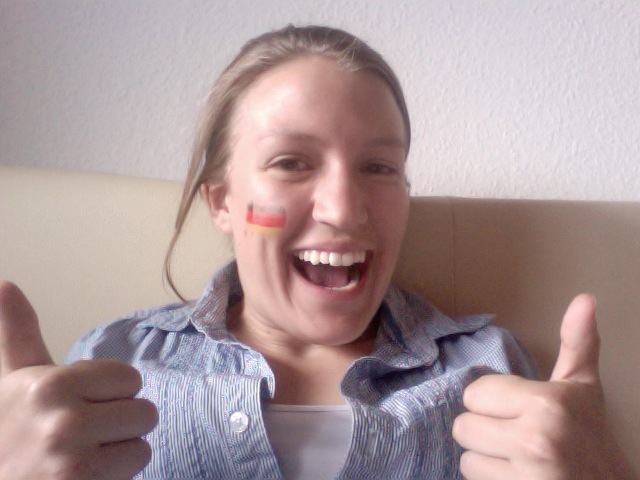 I don’t know that I’ll be converted to a year-round fan, but with a lot on the line in the World Cup (and living in Germany with the Germans and Americans in the same group) it is a really lively atmosphere. First, after we sat down but before we ordered, the waitress came over and asked me something, but I couldn’t quite tell what she was talking about at first. I thought she had heard me tell Daniela that I already knew what I wanted (even though we had just told the waitress we needed some more time), but then she said something about my chair and it seemed like she wanted me to scoot my chair to the other side of the table. Which would have been strange. I asked her to repeat herself but she just turned to Daniela and asked, “Does she understand me?” By this point we had both figured out what was going on (she just wanted to make sure I would scoot my chair in more towards the table so people could pass behind me), but after the waitress left, we both died laughing about how incredibly rude it was for her to ask Daniela–not even to directly ask me! !–whether I could understand!! Luckily this was one of the very first times ever I’ve been “insulted” about my German (and I honestly didn’t feel insulted, as it was a confusing situation that might have confused me in English). And secondly, we had a fun time looking at the different names of the American players, as I am not very familiar with them since this was the first time I had even watched the US team. (Their first 2 games were on at midnight… no thank you.) One of the players is named Deandre Yedlin. Daniela asked me to pronounce his first name for her, and when I did, she professed that it was the coolest name she has ever heard, and kept asking me to tell her other, similar names. I couldn’t keep a straight face because the first thing I associate that name with is… this. Anyway, I am gearing up for a fun weekend because it is Elbhangfest this weekend! 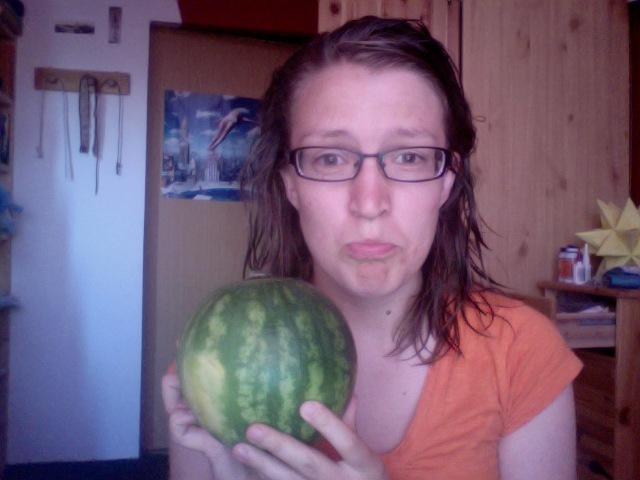 about whether I am going to/want to/ever would stay in Germany long-term. I don’t know why I felt like that, especially since most of the people asking me about this were Germans who live in their own home country. Notably, one of the people I talked to was my friend Michael, who is from Nigeria and told me that he wants to look for jobs in Germany once he is done with his Master’s, which really impressed me. I think that takes a lot of courage and resolve, to be honest. But anyway, no. I do consider myself adventurous and I am so glad I have gotten to live in Germany for a combined 15 months of my life so far and I would go as far as to say that everyone should (yes, I’m getting normative up in here) live abroad in some capacity during their lifetime. But I don’t think I have to commit to living abroad long-term to prove that I am adventurous and worldly. I feel lucky and privileged and, yes, a little adventurous and worldly to have gotten to live in Germany for the past almost-10 months. And I’ve learned a lot about the world and about myself, which apparently I am ready to begin to unpack here on ye olde blog. But I think it has always been temporary, and it’s been that way for a reason. But the apostles didn’t get to stay up on the mountain living a perfect and shiny life; they had to go back down to their same old town to their same old jobs, which is where God wanted them. And I can’t explain all the reasons that I think I’m being told the same thing, but I am. I need to go home. 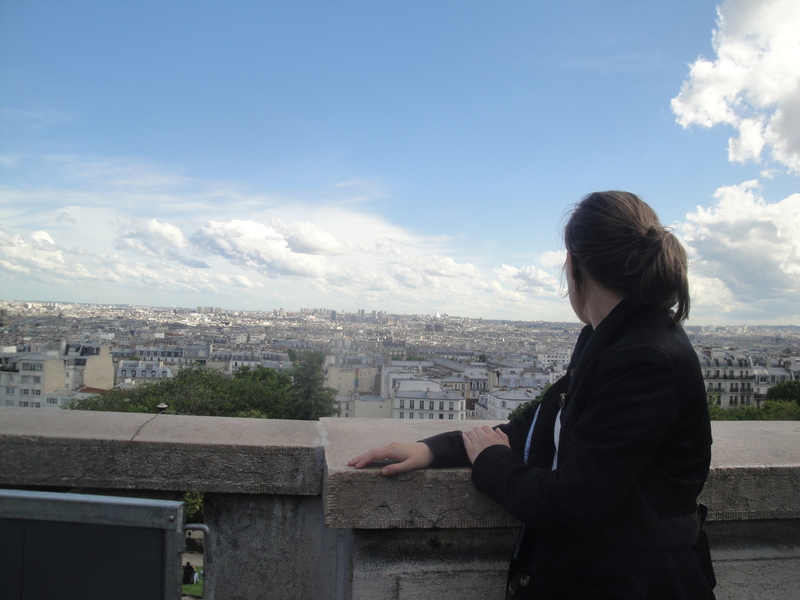 I’ll be back, of course, and maybe one day I’ll get the chance to live abroad more long-term. And if it’s the right thing then, I’ll dive right in. Thanks for listening, peeps. It’s been cathartic. 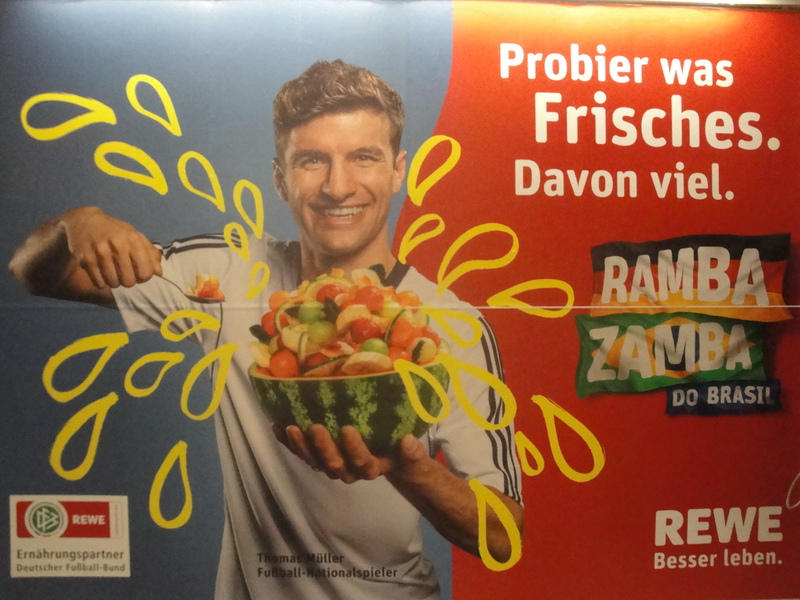 And as a reward for reading all that… a goofy supermarket advertisement featuring Thomas Müller. As I mentioned a few posts ago, I have been in Germany for all of June and will continue to be so for the next 6 days that remain of the month, which is crazy. 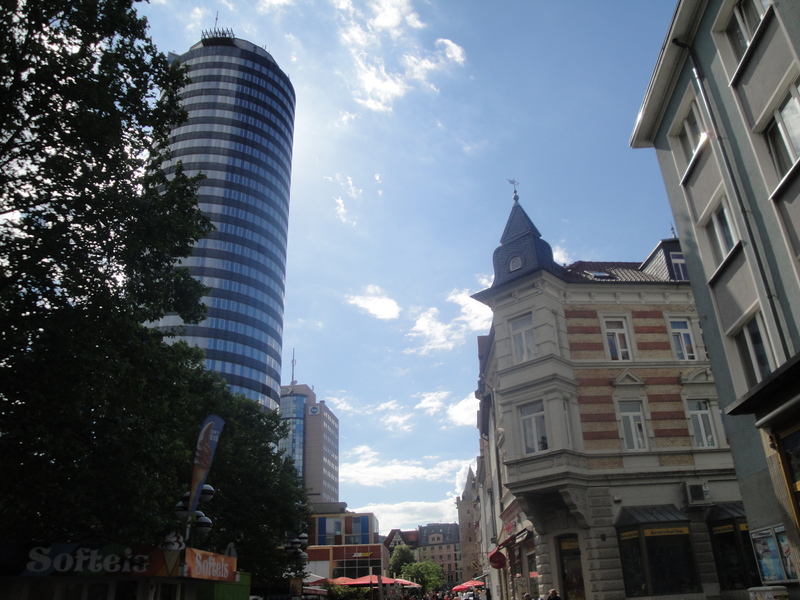 And really the only “travel” I’ve done during this month was that little trip to Jena and Weimar, which was just a day trip. So it’s got me thinking about a topic I’ve wrestled with a lot during my time in Dresden: balancing traveling with staying put. This truly is a champagne problem, but it’s one that’s caused me a bit of undue stress at times. While I’m abroad and have the time/funds/ability, I want to travel, see different places, and experience different things. And my incentive to do so, as an American living for a limited time in Europe, is much higher than that of a European living elsewhere in Europe and definitely higher than a German just plain living at home. 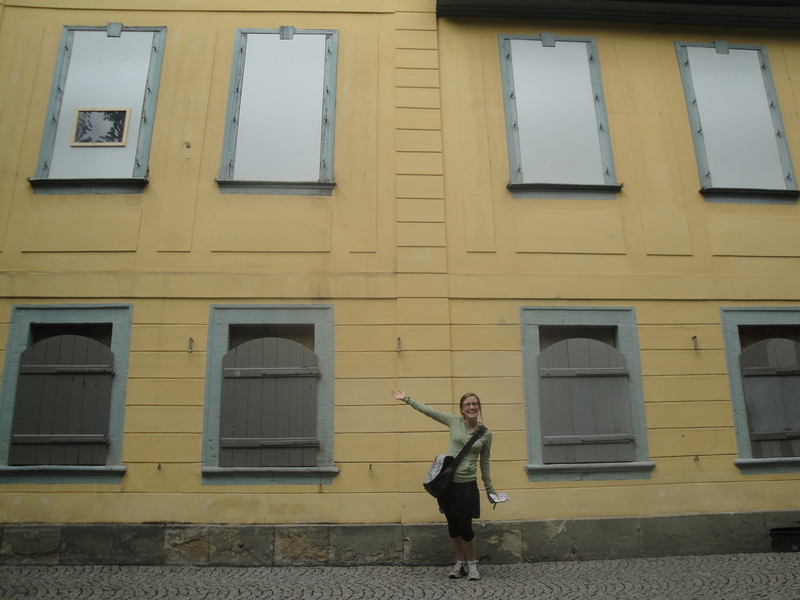 But I am also living in Dresden, my home for the past 9.5 months and the next 1.25 months, and I want to actually live here, rather than using it as a “home base” between travels… which it has been, at times, specifically during March and May, my crazy travel months. If I’m always gone on crazy trips, when will I have the time to be a normal Dresdner, making friends and shopping at the grocery store and going to class and church and watching World Cup games? And so there is this pull between traveling to just one or two more places, or staying in Dresden to soak up more of the life here. I do think I’ve done a good job balancing, but I won’t lie that I haven’t had a few ridiculous (and believe me, I know I am ridiculous and spoiled by my fabulous life) moments of “But I want to go on another trip!” while I am in Dresden, or “But why can’t I just sleep in my own bed?” while traveling. The difference that I mentioned about my perspective on European travel versus the perspectives of my friends and acquaintances here is also sometimes… challenging. I’ve felt at times that I’ve had to apologize for or explain my desire to travel yet again. I’ve since realized that it’s crazy to feel guilty for taking advantage of the opportunities I’ve been given. But still there has been this internal calculation in my mind whenever I’ve planned a trip… what will I miss at home when I’m gone? But when will I ever have the chance to see this place or that place if I don’t get there now??? In the end, a lot of it comes down to being satisfied in the here and now versus always being worried that you’re missing out on something. Choosing to do one thing always means indirectly choosing not to do other things, and I realize that. Even me being in Germany this year means that I’m not a) completing my first year of my Master’s, b) living closer to my family, c) any number of things that could have alternatively happened; and when I studied abroad I even missed my brother’s high school graduation. Life is a series of choices and choices have consequences and in the end the choice to travel or not is such an inconsequential one that it’s kind of hilarious I’ve just typed so many paragraphs about it. I haven’t used my blog as an outlet for my emotions in a while, I think. 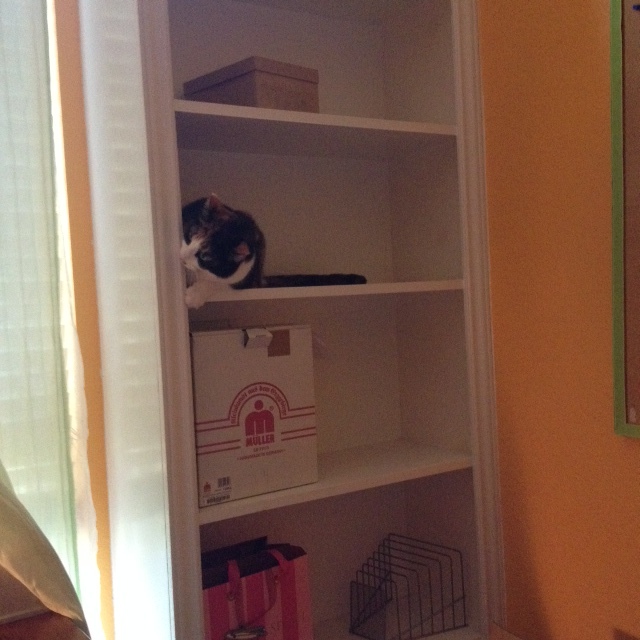 I’m normally careful not to get too… whiney or personal, because I assume you guys don’t want to read that. I’ve mostly dealt with this internal battle since it started surfacing a few months ago. But I think it’s something that most people living/studying abroad, or most people who are living anywhere for a limited time, experience. I’m sure it won’t be the last time I’m torn between spending time doing one thing as opposed to another. And one function of my blog (optimistically) is as an outlet for commiseration between people experiencing the same things in expat life. So maybe my little internal monologue will help someone else? Who knows. That being said, July is lookin’ good on the time balance front, hopefully. I’m gone basically every weekend, but no trip is longer than a weekend. (The week-long trips I took this spring, while enjoyable and wonderful, really sapped my energy and added up to a lot of time not on a normal, home-life schedule!) I’ll be visiting Budapest, Braunschweig (wikipedia link because it’s one of those pesky German cities that Americans have no idea what it is), and Freiburg, my first German home! I’ve reserved my last weekend in Germany for relaxing Dresden time, probably a going-away party of some sort, and definitely packing and last-minute errands. As if that weren’t enough traveling, I just planned one more trip… for next week, if you can believe it… just one day in Göttingen, where I am meeting Ayse, who lived with my parents during the school year when she was a student-teacher at my high school! I’m excited I finally get to meet her. The fact that all of my time until I leave is basically booked is a little… overwhelming, if I have to be honest. But at least now I know the score, and I can focus on writing and cherishing while I’m in Dresden, and I can focus on having an amazing time while I’m traveling. To round out the weekend, on Sunday, Felicitas and I had planned (or, more accurately, not planned) a spontaneous trip to Jena, where our friend Allie lives. We bought a Thüringen ticket, which allowed us to take any train* in Saxony or Thüringen all day, and cost only 13 euros each. *Unfortunately, we realized just as we were about to get on the train that we were only allowed to take regional trains with this ticket, so our journey took a bit longer than we had anticipated. We both slept on the train, which was welcome, but that led to the next unanticipated turn of events: we missed our stop! We reached “Jena-West,” but knew that we were supposed to get off at “Jena-Göschwitz,” so we waited. And waited. And waited as the train continued through huge fields filled with cows, and we guessed that we were, indeed, leaving Jena, which we confirmed with a phone call to Allie. 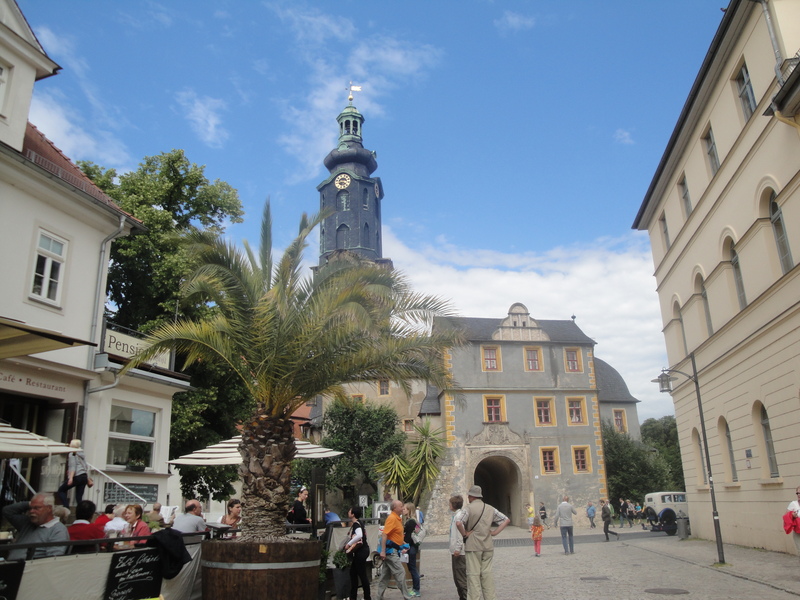 But with a stroke of luck, we discovered that the next stop was Weimar, a town I had wanted to visit but figured that I wouldn’t have the chance! 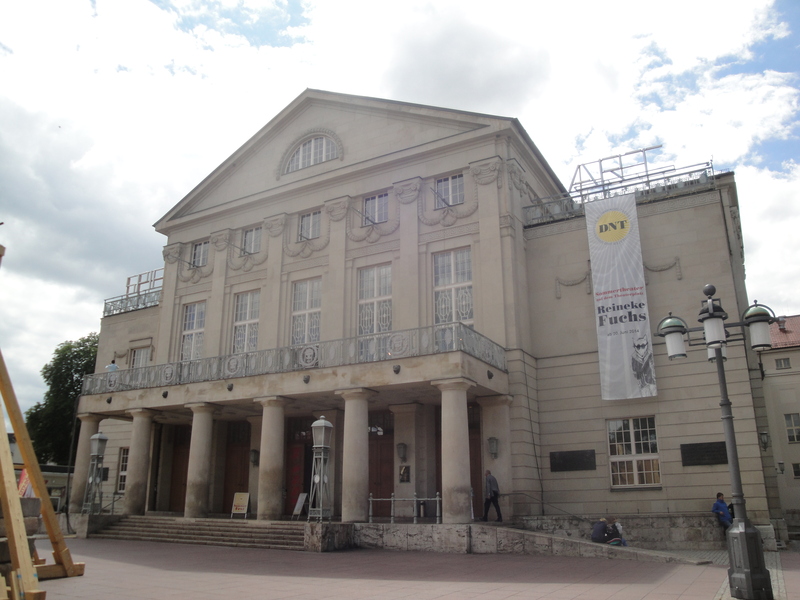 And so, we spent about an hour and a half in the charming city of Weimar. Weimar is famous as the former home of the famous author/philosophers Göthe and Schiller, and it lent its name to the Weimar Republic, the ill-fated German republic formed after World War I. It really was beautiful. 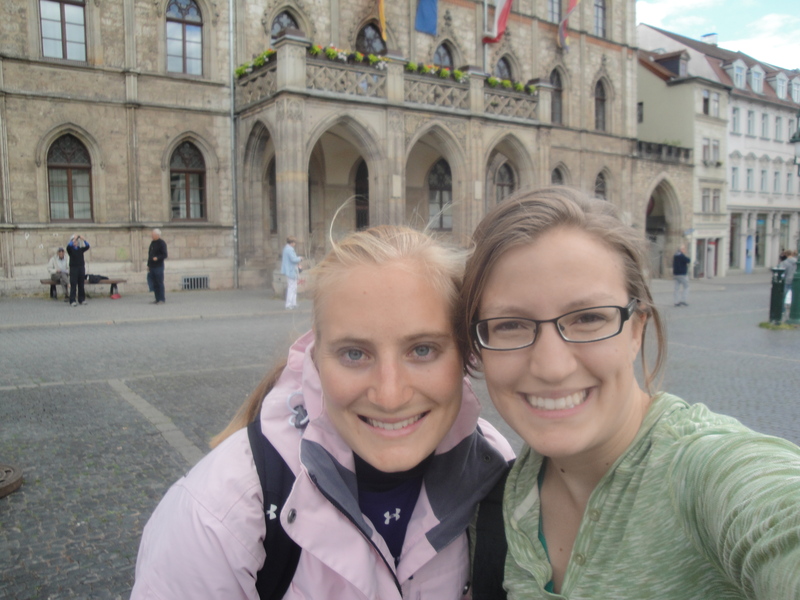 We barely made the next train back to Jena, and Allie met us at the train station. Allie and Flitzi went to Northwestern together and were both athletes there, and it was great to spend a few hours from her and get the full Jena tour. 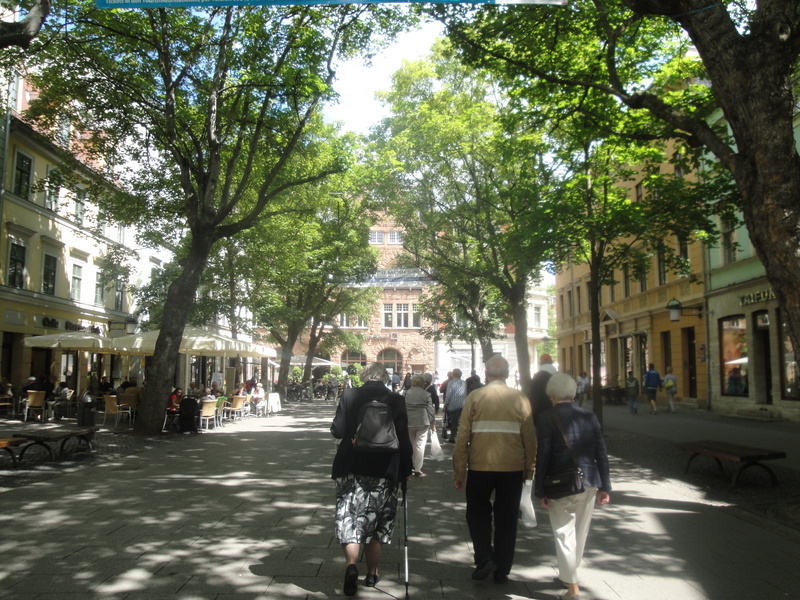 We saw the university, the famous DDR-era “skyscraper,” the cutest little restaurant-and-kneipe street, two of the four remaining city gates, the town hall, and enjoyed ice cream cones the size of my head as we walked through Paradies-Park. It was a lovely, lovely day in two cities I’ve had on my list to see since November. As we waited for our train at the station, we talked about little cultural quirks and observations–how Germans don’t apologize as much as Americans, and maybe even think we are silly for apologizing so much; how, for Americans, asking “how are you?” or “what’s up?” is more of a pleasantry than an actual inquiry (to the exasperation of Germans)–when Allie asked an actual serious question of me: how am I feeling about going back? In the midst of the silly things we’d been discussing, it actually blind-sided me a little! 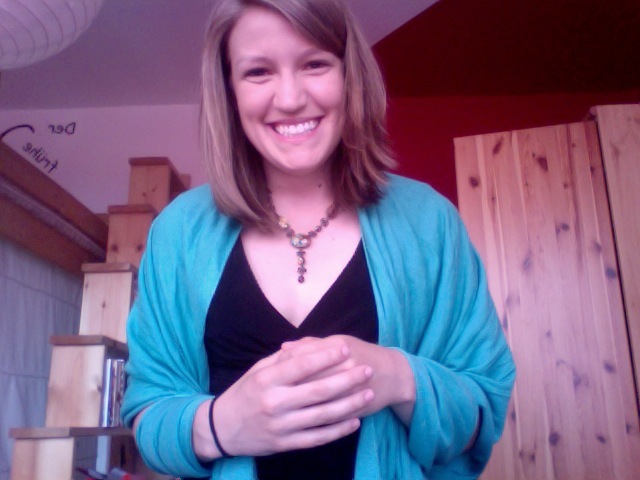 I gave the standard answer I’ve been thinking of for a while: how, this time, I’ve spent a good amount of time in Germany, and during that time taken advantage of everything I feel I could have gotten out of my time here. 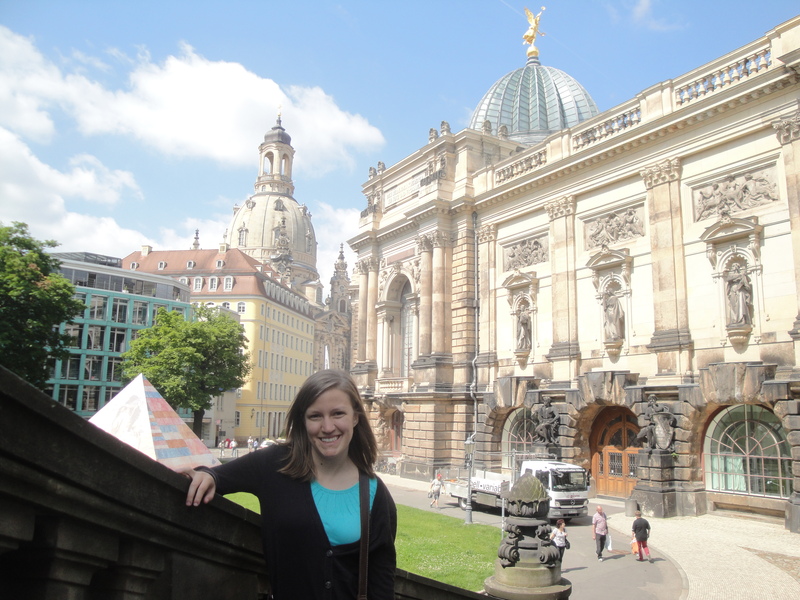 I’ve traveled a lot, but I’ve also integrated myself into everyday life here in Dresden, or at least I did that as well as I knew how. I don’t feel I have any regrets, and this year truly has been one of the most meaningful experiences of my life. So I don’t feel disappointed to be leaving. 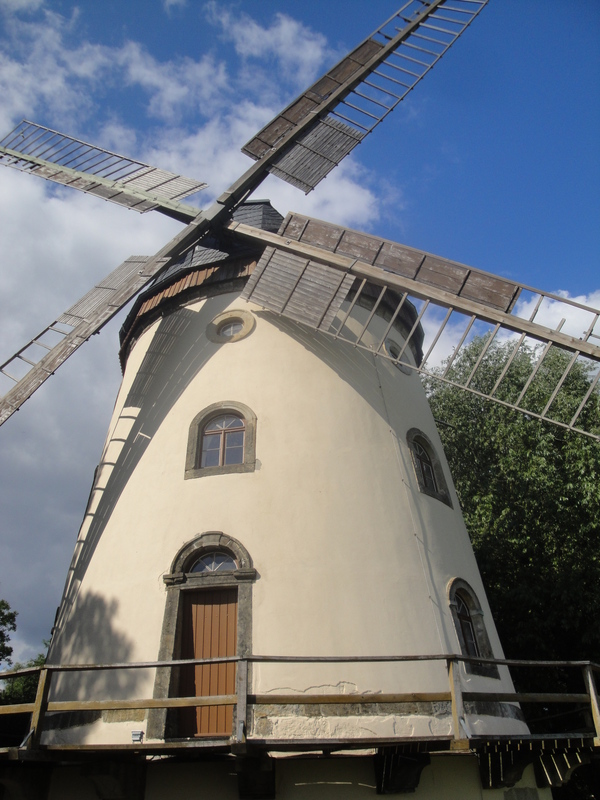 But after I got home, I looked around my disaster zone of a room and out at the church tower that would wake me up at 7 the next morning with its incessant chiming, and I remembered the sun-dappled train journey through Saxony I’d just enjoyed, and I realized that I will be very sad to leave! It’s crazy how fast time passes–I can barely believe that I graduated college at all, let alone that my graduation was 13 months ago–and the end of a chapter is always bittersweet, isn’t it? But this chapter has been an amazing one, and I’m so blessed to have lived it. So I’m going to keep squeezing every last memory out of my Dresden life before I go. 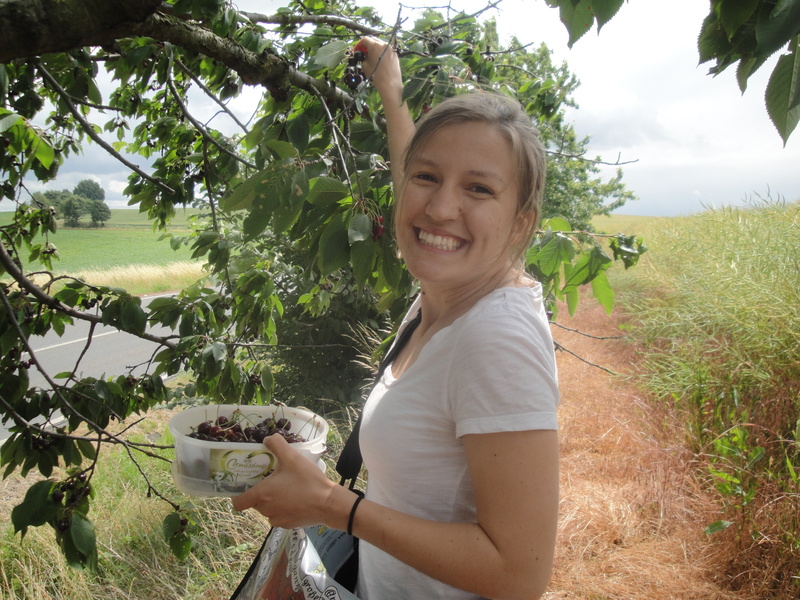 On Friday, Felicitas and I had one simple goal: make it to an orchard to pick cherries. 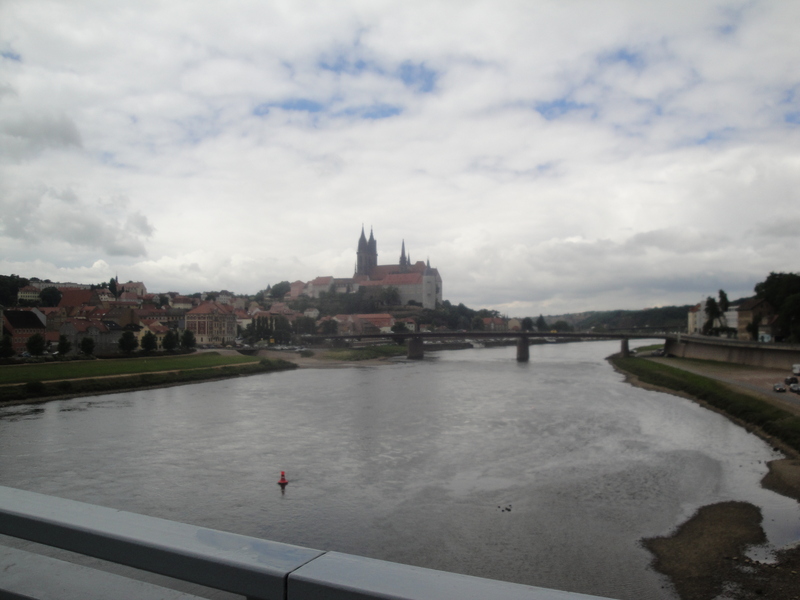 We knew about one orchard outside of Meissen, so we took the S-Bahn to the nearby town. We brought along our bikes because the orchard itself wasn’t walking distance from the train station, as it turned out. Cherry trees! Along the road. 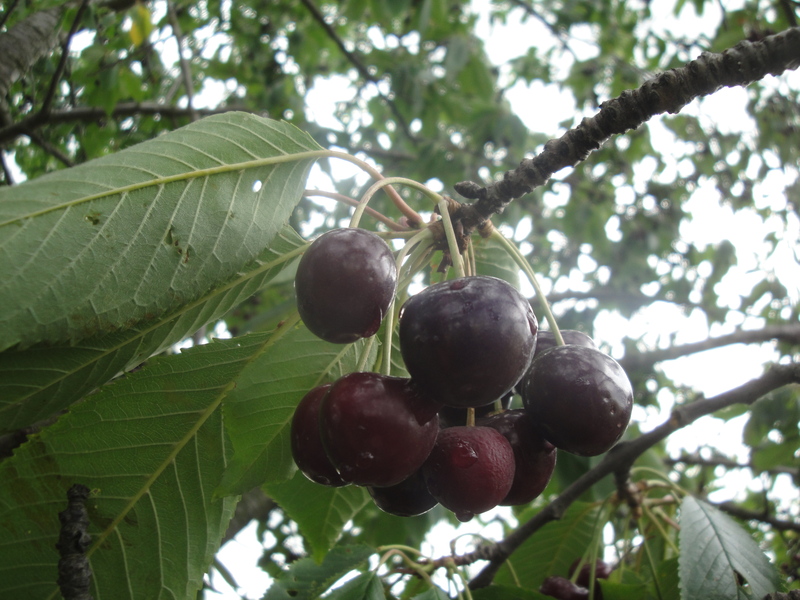 We hadn’t actually made it to the orchard, but we spotted a guy picking the cherries from these trees. 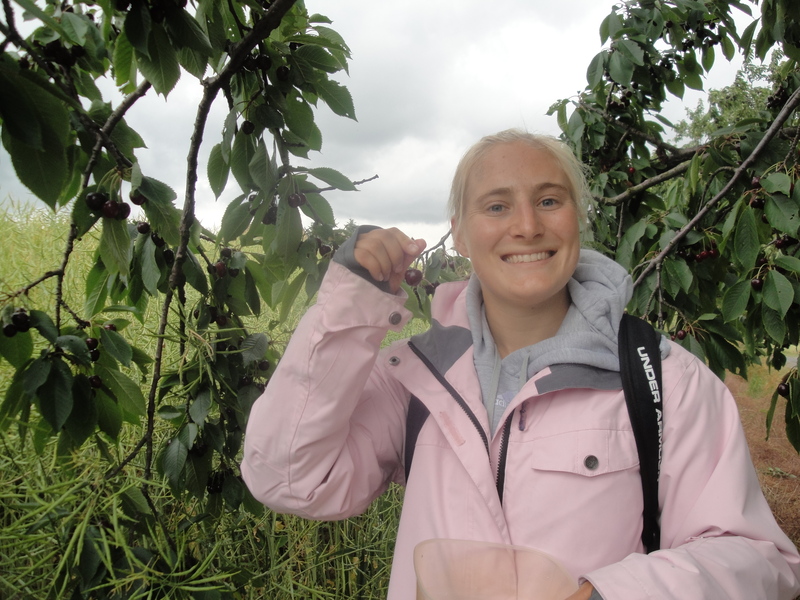 We confirmed with him that the trees were on public land (and thus, we were entitled to pick cherries from them as long as we didn’t plan on selling them for profit), and that they were edible. And so, amazed at our good fortune, we got to work! 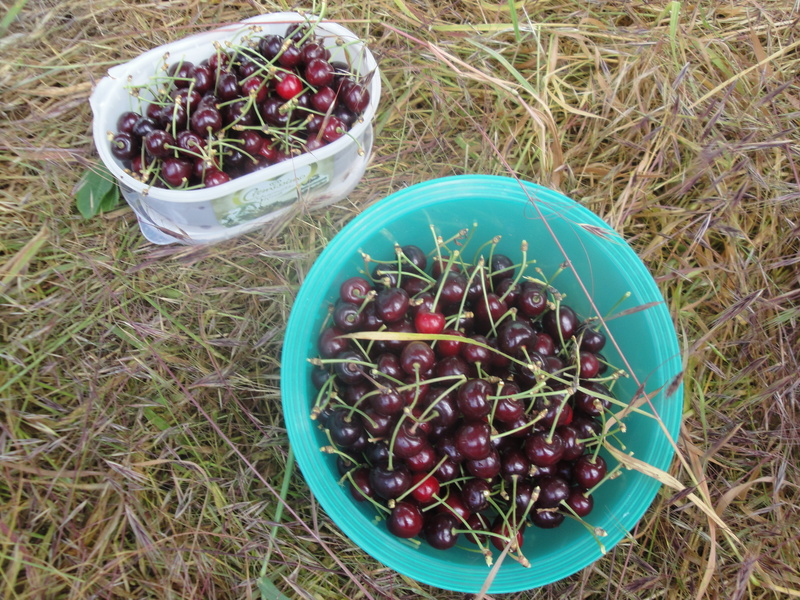 It was the best happenstance occurrence, because we brought in a huge haul of cherries–which are normally so expensive! And they were all free, as opposed to the almost 4 Euros/kilo we’d have paid at the orchard. Plus, we got the thrill of picking them ourselves! After we were satisfied with the fruits of our labors, we coasted down the now-mostly-downhill road back into town. We had planned to hop on the S-Bahn back to Dresden, but before we knew it, we were on the bike trail that would lead us back home, and there were only 26 kilometers left to go! So we decided to continue the adventure and bike along the river. 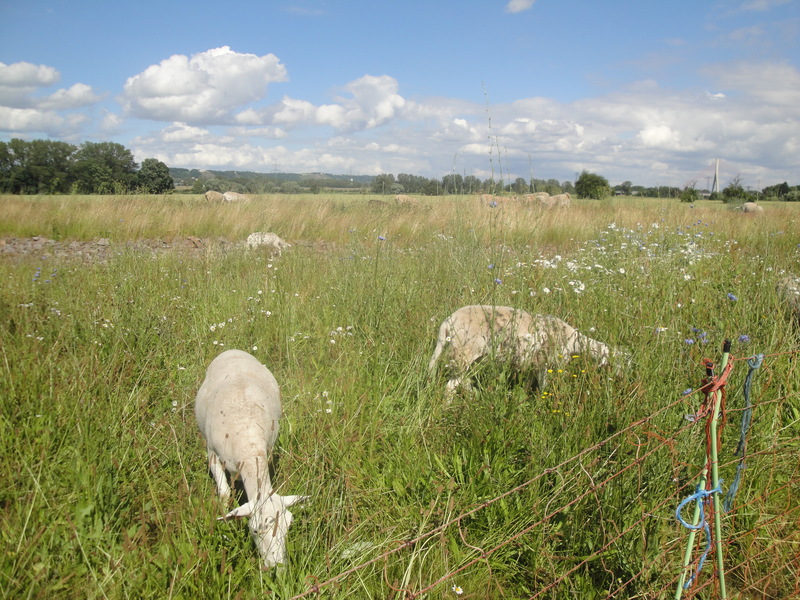 We spotted some goats about 10 km from Dresden, and later we caught a glimpse of a windmill! It was a beautiful ride and the weather was wonderful–a massive improvement from the cold and rainy morning we’d had. Besides the morning of June 1 when I was in/traveling back from Poland, I will be in Germany (mostly Dresden) for all of June! This is the first time I’ve stayed in one place for an entire month, and to be honest, I am a little relieved. I think I wore myself out over the past few months. But don’t think I’m not keeping busy! Luckily there is a LOT to do in Dresden. Of course, I had a fun-filled and action-packed week with Daniel while he was here, but the fun hasn’t let up since then! Last week, we had a bit of a heat wave, and it got really uncomfortably hot here on the ninth floor. I looked up as many articles about “staying cool with no air conditioner” as I could find, and because I don’t have a fan nor a south-facing window, I did the best that I could. Like buying an adorable little baby watermelon at the market! And taking several short, cold showers per day. I went swimming a couple times with Felicitas, once at the crazy fun pool right between the Großer Garten and the soccer stadium and once at a Freibad up in Bühlau, which was a more natural pool (and very very cold)! No pictures, because my camera is still dead. I’ll fix it soon. During the really hot weekend, I also went to the movies with my friend Daniela! I can’t believe I haven’t mentioned her on here yet… she’s my Tandem partner who I met for the first time in April, right after I got back from Rome. Daniel (yes, this is going to get confusing) had a few Tandem/Intercambio partners while he was in Salamanca, and hearing about his fun experiences with them made me realize that I probably should have found a Tandem during my 7 months here (at the time). So, I found Daniela on Facebook and we hit it off. Daniela is doing a 6-month practicum/internship at the Gläserne Manufaktur, so it was her who gave me the info for our English tour when Daniel was here, although we didn’t get to see her while we were there. She’s from Saarland, really far west near France, and she’s “new” to Dresden, as well, so we’ve been fast friends and have enjoyed doing fun Dresden things together. 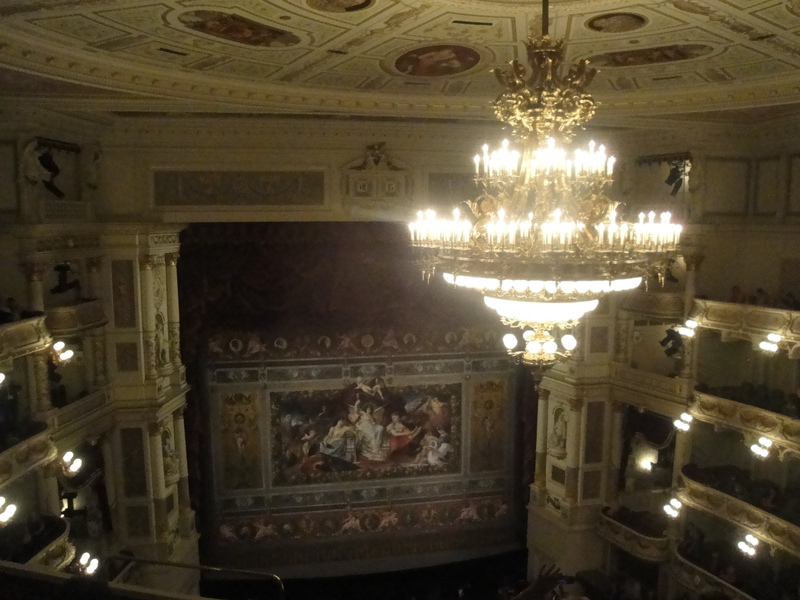 The one photo I have from the Opera, where we saw the Swan Lake ballet! We got drinks once in Neustadt, bought cheap, last-minute, standing-room-only tickets to the ballet (so fun!! ), we got ice cream together once, and then, while it was so hot out, we went to see Maleficent. There were only about 8 people in the huge 3-D theater, but at least it was cool in there!